Nature is not without its own defense, and certainly not without its own decorations. 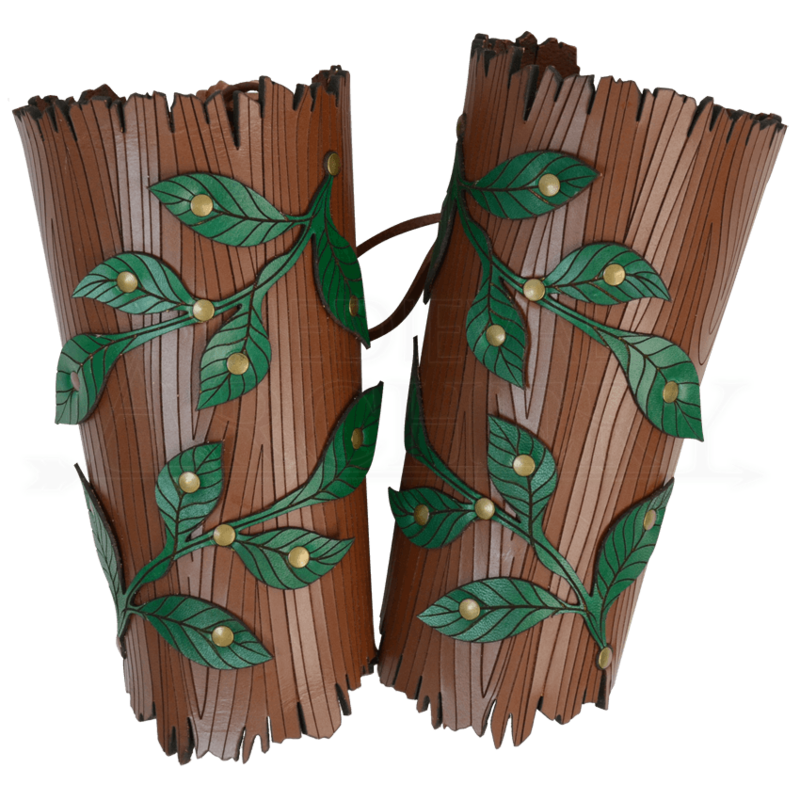 And now, with these Woodland Vine Arm Bracers, you can feature both as a part of your look, allowing nature itself to be among your defenses. These impressive bracers offer a unique twist, possessing a brown coloration that is engraved to look like tree bark. Accenting the bark appearance is a sprig of green leaves. The bracers are made right here in our shop, crafted from 7/8 oz. leather. 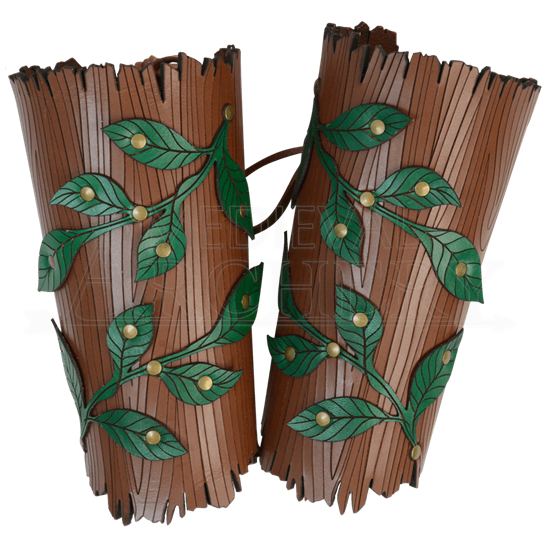 They are a great defense to have in LARP and light reenactment, and the great look of the Woodland Vine Arm Bracers makes them perfect for a variety of nature-inspired and fantasy looks too.